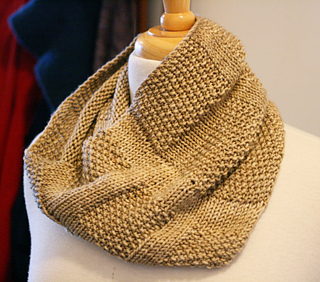 This pattern was ghost-written by Miriam Felton for Anzula. This cowl is worked flat for most of the cowl, then the selvedge edge is picked up and a panel worked perpendicular to the first portion and grafted to the other selvedge edge to join the cowl in the round. 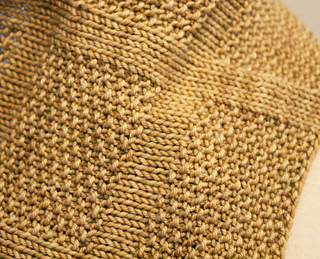 Gauge: 16 sts & 26 rows in 4 inches (10 cm) square in Seed Stitch after blocking. Notions: Tapestry Needle for grafting and weaving in ends. Crochet hook (optional) for picking up stitches.